Sunday night I had the pleasure of seeing Xavier Universit’s AVENUE Q. This unfortunately lightly attended production had a lot of charm and most of it came from Patrick Phillips as “Princeton” and Maya Farhat as “Kate Monster.” Phillips ran around the stage with a manic energy while maintaining great comic timing and an appropriate pace when telling the story of this freshly graduated young man looking for his purpose. Farhat has impressed me each time I’ve seen her – first in THE CRUCIBLE, then in THE AFGHAN WOMEN’S WRITING PROJECT – and with this musical, I learned that she can sing, too. They were great. Also great was the work of Nick Sherman as “Rod” and Alex Spindler as “Nicky.” They were funny and stood out as students to watch in this brand new theatre program. Tatum Hunter as “Lucy” also impressed as did Griff Bludworth as “Trekkie Monster.” His vocal performance sounded painful but was consistent and very good all the way through. Stephen Skiles direction pulled out some good performances from his ensemble. It’s not a perfect show; there were some technical glitches the night I was there and I would have made some edits to the show to hide some of the cast limitations, especially when it comes to vocal performance. But I had fun. I laughed. I marveled at how well these performers handled the puppets given they only had about 4 weeks of rehearsal. . . it came together nicely. I’m very excited about next year’s season. GOSPELL, a brand new play, some Shakespeare, and my all time favorite – SPRING AWAKENING – will all hopefully demonstrate why Xavier is shaping up to be a solid theatre training ground. 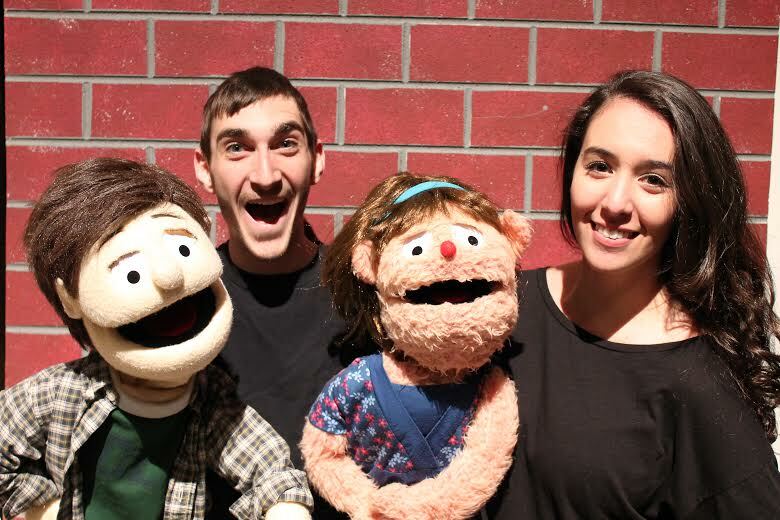 AVENUE Q runs at Xavier’s Gallagher Student Center Theater through Saturday night. Tickets are available here. Next REVIEW: Willy Wonka Jr.